Home Homeland Security Why Was the Homeland Security Department Created? For more than a year, Central American families crossing the U.S. border in search of asylum or work have dominated the time and attention of the Department of Homeland Security (DHS) and its leadership. The recent series of firings and resignations at DHS, including the departure of Homeland Security Secretary Kirstjen Nielsen, is a direct result of the president and other administration officials trying to stop Central American asylum seekers from coming to the United States. The Department of Homeland Security was created following the terrorist attacks of September 11, 2001, that killed a “total of 2,977 people . . . in New York City, Washington, D.C. and outside of Shanksville, Pennsylvania.” The lack of coordination and intelligence sharing among government agencies was a central concern that led to the cabinet department’s creation. “SEC. 101. EXECUTIVE DEPARTMENT; MISSION. (a) ESTABLISHMENT.—There is established a Department of Homeland Security, as an executive department of the United States within the meaning of title 5, United States Code. This focus will not change soon. Donald Trump’s choice for acting secretary of Homeland Security to replace Kirstjen Nielsen is U.S. Customs and Border Protection Commissioner Kevin McAleenan. Of course, DHS officials need to address the situation at the border. However, the problem, we should remember, is not the existence of people from Honduras and Guatemala as human beings. The United States accepted more than 500,000 refugees from Vietnam after the Vietnam War ended. They entered the U.S. through a legal refugee process or were paroled into the United States. Today, the median income of households headed by Vietnamese immigrants is higher than U.S.-born headed households, according to the Migration Policy Institute. The United States should focus on providing legal ways for people from Central America to escape situations they consider desperate enough to risk the dangerous journey to the U.S. border. That would include, among other things, temporary work visas, in-country refugee processing and working with Central American governments to reduce the circumstances that compel their citizens to flee. Central American families do not represent a security threat, unlike, for example, cyber warfare, which in comparison receives little attention. “Even after a decade of debate it’s still not clear who in the federal government, if anyone, is responsible for defending the country – and the economy – from the most sophisticated cyberattacks,” writes David E. Sanger, author of The Perfect Weapon: War, Sabotage, and Fear in the Cyber Age. 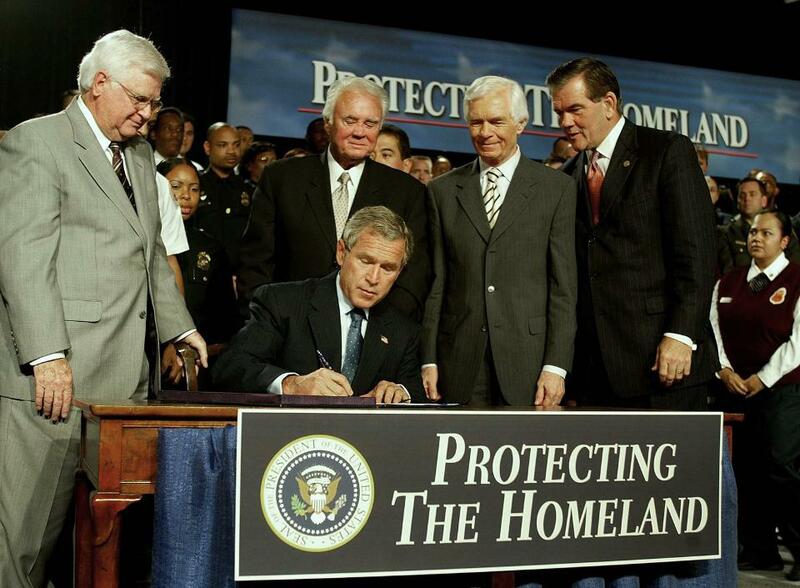 Following the attacks of September 11, 2001, it is safe to say no one in Congress or the executive branch thought the primary focus of the Department of Homeland Security would be to stop Central American families from coming to the United States to work or seek asylum. This article was written by Stuart Anderson from Forbes and was legally licensed through the NewsCred publisher network. Please direct all licensing questions to legal@newscred.com. next Is a Fake News Law Absolutely Necessary for Our Society?